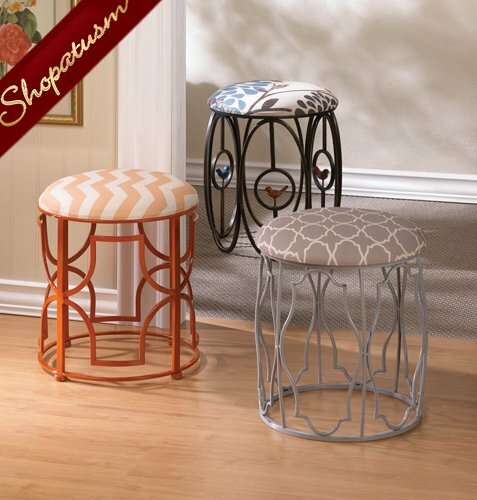 Bird Motif Foot Stool Free As A Bird Metal Stool with Cushion from Shopatusm. 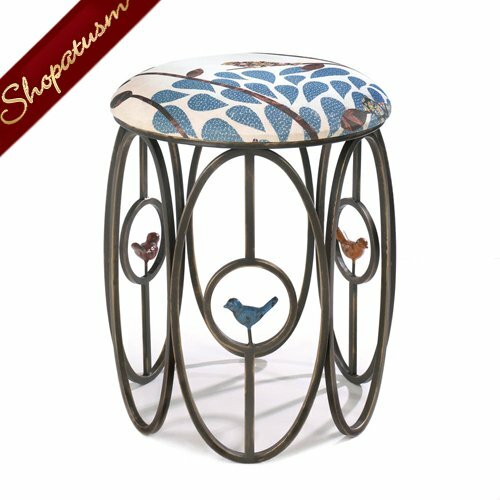 This metal-framed stool features three colorful bird statuettes, and the top cushion is covered with a fascinating linen patterned fabric that is the perfect finishing touch. Item weight: 8.6 lbs. 17 inch x 17 inch x 20 inch high. Iron, linen and sponge. Spot clean only.